The US dollar is lower against major pairs this week as the market prepares for an eventful week. 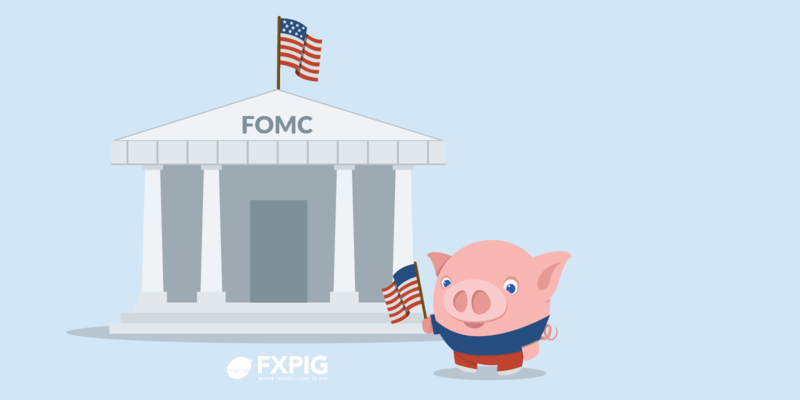 The U.S. Federal Reserve will kick off its June Federal Open Market Committee (FOMC) meeting on Tuesday June 12. The two day meeting is expected to end with the announcement of a 25 basis points rate hike. The same day President Donald Trump will be in Singapore for the much anticipated meting with North Korean Leader Kim Jong Un. That is also the same day that UK Prime Minister Theresa May will ask her party to overturn changes to the EU withdrawal bill. The European Central Bank (ECB) could add support for the single currency with analysts anticipating a hawkish statement signalling faster tapering on its massive QE program. The EUR/USD rose 0.97 percent during the last five trading sessions. The single currency is trading at 1.1761 ahead of the weekend G7 meeting in Canada. The biggest topic given the escalation of tariffs prior to the sit down will be trade. The US ended the exclusion from the steel and aluminum tariffs for the EU with a retaliation forthcoming. The trade spat has triggered a flight to safety for investors that have sold the dollar. The EUR has recovered after the Italian political crisis was averted although questions remain on the stability of the Union as the rise of euro scepticism grows. The ECB is now expected to tighten monetary policy in June following the actions from the U.S. Federal Reserve. The rate lift by the US central bank has already been priced in which is why it won’t drive the USD higher. The ECB in contrast has been less clear with its monetary policy intentions. EUR/USD flows indicate a belief that with the Fed tightening on Wednesday it can offer a further monetary policy signal and make a clear indication it will end its QE program this year opening the possibility of an European rate hike in 2019. The Fed and the ECB could collectively make a statement on their confidence on the strength of their respective economies. While the central banks might be on the same page things are different on the political arena. US President Donald Trump was again on the trade offensive ahead of the G7 meetings. The US risks being isolated from other major economies if the tone continues to be so combative. The US has opened various fronts which will tax its ability to deal effectively with so many concurrent negotiations on top of growing issues of national importance. The USD/CAD gained 0.24 percent during the week. The currency pair is trading at 1.2983 after trading in a tight band all week. The US has toughened its stance on trade adding uncertainty to NAFTA ongoing renegotiations. The loonie also took a hit from the weaker than expected job numbers published on Friday. The Canadian economy lost 7,500 jobs in May with a forecast of a gain of 17,500. The main positive of the report was the rise of hourly wages and it might just have been enough to cancel the negative impact of the headline number miss. Oil prices will end the week close to where they started it. West Texas Intermediate is trading at $65.57 very close to the $65.74 price level at market open on Monday. Supply worries from Venezuela and Iran have kept prices near current levels even as the Organization of the Petroleum Exporting Countries (OPEC) and Russia will meet to review the state of their crude output agreement. The deal to limit the amount of supply has been the biggest factor in keeping prices stable after the free fall of 2014. The talk surrounding a possible easing of those terms to allow members to capitalize on high prices have put downward pressure on prices. The OPEC and Russia will meet on June 22. The GBP/USD gained 0.30 percent in the last five days. The currency pair is trading at 1.3382 ahead of an important decision on the Brexit process on Tuesday. The UK government will be taking votes on its EU withdrawal bill, which could end up with Parliament having a say in the Brexit deal minimizing the possibility of a hard exit scenario. The optimism about a softer Brexit deal and the possibility of a rate hike later in the summer by the Bank of England (BoE) have boosted the GBP.